Pilates is a series of slow controlled movements primarily to strengthen the core muscles that stabilize and support the spine, realign the body and correct postural problems. Pilates brings mind and body together, focusing on concentration, balance, precision and breathing. It is the safest way to exercise and is suitable for all ages and all levels of fitness. Offering mat and reformer sessions. These private sessions are tailored to your individual needs and supervised on a one-to-one or two-to-one basis. 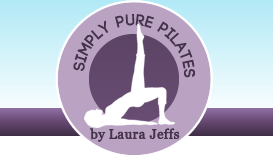 Please contact Laura for more details on 07710 408974 or laura@simplypurepilates.co.uk.